We bring you the ways of navigating Marriott card rules, travel to amazing beaches, do some safari packing, we say goodbye AMEX SPG card you will be missed, final word on Marriott travel packages, cry for some more dead deals, gather all the airline peanut allergy policies, AccorHotels blows money again, warn you about buying miles and points, and lots more free! 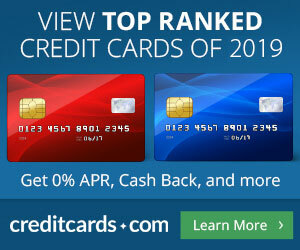 Here are the best credit card offers with my links. I now see the Bank of America Travel Rewards card has a 25k offer and the Bank of America Cash Rewards card has a $200 bonus. Both no annual fee cards. I did not bother to add them to the list because I am lazy and not a fan of this bank for rewards. Hang with me por favor, I already feel dirty so lets get to what you came here for and leave the clickbait moronic crap and endless plastic promotion posts to more commercially successful bloggers! This is the monthly Top 25 Credit Cards via Mile Nerd. I am getting really tired about all the blog posts out there about the Marriott Travel Packages. Only a few more weeks to go before another “deal” dies, sad! What Makes The Marriott Travel Packages So Lucrative And Which Category Should I Buy? A Comprehensive Guide. And here is another one: Marriott Choice Benefits Revealed. If you care. Good reference post if you or a loved one suffer from this: Peanut Allergy Policies of Airlines: An Updated Comprehensive List 2018. Good airline industry post from some real experts, unlike credit card sales experts masquerading as travel experts out there! American’s Current Strategy Has a Familiar Refrain: Follow Delta’s Lead. I have chronicled here the dizzying pace of acquisitions by AccorHotels. A week passed without one and I was very concerned if there was something wrong! Thankfully, everything is “good” it appears as they blew another $51 million for just eight 21c Museum hotels. Ever heard of them? Me neither! No real estate is involved. At all. $51 million for an 85% stake and 15% remains with the founders who are laughing all the way to the bank. I can’t wait to stay in the one at Bentonville, Arkansas you guys, woohoo! Hey, anyone know anyone there? These guys will buy anything that moves! If you are keeping track, these guys already wrote down their investment in luxury homesharing platform Onefinestay and a concierge provider you never heard of a cool $288 million. Yeah, that was the LOSS. Geniuses! This list will shock you! 10 Countries You Didn’t Know Have Amazing Beaches. Lithuania? Germany? Seriously? In case you are going, here is What to Pack for Safari: A Detailed Packing List. I am definitely no expert here but this looks like a good reference post to me. This job, at first sounds great, but the amount of excruciating detail that goes into each assignment sounds a bit too much for me. Nevertheless, I really enjoyed reading it and maybe you will too! What It’s Like to be an Undercover Hotel Inspector. I have been on Twitter now for many years. Thousands of followers and thousands upon thousands of tweets (from two accounts). And I use Buffer for a lot of it. They wrote this post and it is really good! 14 Twitter Hacks That Will Turn You Into a Twitter Pro. One day when I get off this Buzzy type of blogging I do here and treat this like a hobby (as in posting once in the blue moon) I may do a post on how to use Twitter properly. This blew my mind. It may not blow yours. Hey, we are all different! Brain Gain: A Person Can Instantly Blossom Into a Savant — and No One Knows Why. Wow, how the hell does this happen? We don’t know so much about zat thing called the brain! Is this what happened to me more than 5.5 years ago and became a blogger legend? Ok, stop laughing now, come on! The job market is hot! If you are entertaining offers for another job, this may be helpful to you: If you’re negotiating your salary, don’t forget these benefits. 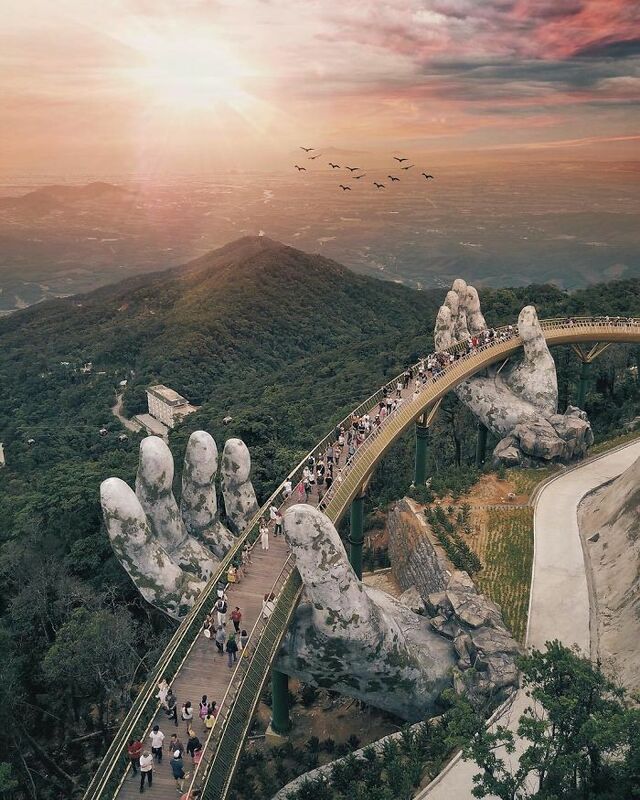 Check out the new “Golden Bridge” near Da Nang in Vietnam. Art baby, a vintage Plymouth stands on end in a Canadian parking lot. Very cool imho. So much money…Visualizing Major Tech Acquisitions (1991-2018). Okay, another song. How about some real techno? I play this when I am deep into the zone working away obliterating myself!!! It is getting really tough out there for this hobby as we keep taking hits every day it appears! Korean Air has eliminated award holds (thanks bloggers! ), Bank of America has stopped the gravy train with its Business credit cards, today is the day that the beloved Amex Starwood credit card gets devalued 33%…I should have a contest what will get killed next! Wait, even ResellingDOs are dead! Update: Well, that did not take long. After bloggers have been screaming how you can Maximize Amex Offers, they get this one killed too, sad! Huge Devaluation! Amex Offers Restricted to One Card, All Tricks Dead! Rohan says goodbye to blogging at Travel Codex. Airline geeks will miss him. There were no cc conversions as of July 20. And I think we may be at ten or nine for July! The portal shows ten but I think one is for my wife’s CitiBusiness AAdvantage card clicked on June 26 and approved over the phone on June 27 (yeah, sometimes it takes for ever). I do not want to celebrate yet because I do not want to jinx myself. And I was ready to evolve…downwards here with vacation coming up and all. Thank you for all the support. Can someone help with a reader’s question posted a few days ago in the comments? I think the answer is positive, we all get them renewed? Does anyone know what happens to expiration dates once the big SPG/Marriott merger happens? Will my soon-to-expire SPG points get refreshed with a later expiration date by my not-soon-to-expire Marriott points? And I leave you with this…LOL every time I watch this! You are welcome! Follow TBB on Twitter @FlyerTalkerinA2 and now on Instagram. Good post today, George. I guess you’re a blog savant? Thanks for the GIF. Oh my. Hyatt Place is great for work travel. The points go a long way. Drake’s ‘In My Feelings’ challenge has gotten out of control. Just put the pedal to the metal and drive off. Bye! Got your message about needing to click the link each time. Will do! Nice infographic on the Marriott cards – what a convoluted mess! Shame about KE’s award holds going away. From what I’ve been seeing (FT and elsewhere), it seems that even folks with legitimate businesses who have sent in appropriate documentation of such, are struggling to get approved or just flat-out getting denied (when their credit score, etc. are supposedly fine). Really cool about the sudden savants! I had heard of it happening after certain injuries but didn’t know it could spontaneously occur. 1. That is one badass bridge. Ha, I actually love the 21c in Lexington. Art gallery in the hotel, different feel. I will respond to comments later today, maybe tonight. I updated body of the post with another killed deal. Thanks bloggers! See Update in bold font. Sad! @ Nick: I was clearly kidding about my blog savant-ness. Or is savantization? 🙂 Thanks. @xyzbarr: I thin you like the hardware, thanks for claiming your silver medal. @Raffles: I think they ‘ll go for it. Just someone tell him “a blog is a hotel brand and you can never have enough”. When you get approached, send these guys my way, thanks! @DML: Yeah, that gif always gets me. You will like Friday’s gif too. It involves Basketball! I have always had good experiences at Hyatt Place properties. Maybe because my expectations were not that high perhaps? @ John: The key is…to not click on the Titans. They are MASTERS in monetizing you without giving their readers a clue! More bars on Friday, you will love these! @Ryan: Yeah, it is all rough out there. This is why you see the corporate owned blogs and the greedy experts keep pummeling the newbies who never had a travel rewards card before. And it is getting more pathetic out there, wow! @Brenton: Thanks for the suggestion about Carhenge! @Jon: Thanks for the feedback. No doubt it sounds like the 21c hotels are unique. I still can not believe AccorHotels paid so much for such a tiny footprint in these places, it is absurd! I run 7 miles today. 4 yesterday, 5 the day before…Blisters and all. I have noticed Doctor of Credit has increased posting frequency by a lot since TPG bought Mommy Points. Coincidence? Thanks for reading and keeping me around in the present TBB form for at least another month, I appreciate the support. Well, them staffers there did not take too long on that bridge wow! z0mg! Now that I spilled the beans on mint coins it’ll probably get killed any day now!!! Spoke to the Bloomberg guy for 2 hours about the SPG AMEX deval and other devals and somehow he completely missed all of that and just took the 2 flashy lines.